Dun Dun Dun Dun... New Campus Portal Apps for Students and Parents! Weekly Overview - Assignments for the week with a nice button to navigate from week to week. Students - Navigate between students by clicking on their name in the right top corner. Do you have rights to view other calendars? Please make sure that when you send a message via Messenger that you are in the correct school and year so other schools and students do not receive your message. The IT Department was able to check with Support on this matter to see see if there is a way to prevent this from happening. We were hoping there would be a way prevent users from sending messages that have view only access to, there is not a way. We did have our case attached to an IDEA Enhancement request that has been created by other districts wanting the same solution. Transcript and Scheduling Tabs. Please take a look at the new additions, I think you will like it. 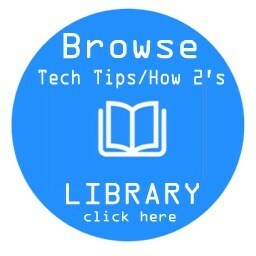 If you are unable to see the tabs, log out of IC and back in. We are now using Google SSO (Single Sign On) authentication in Infinite Campus for staff and student accounts. 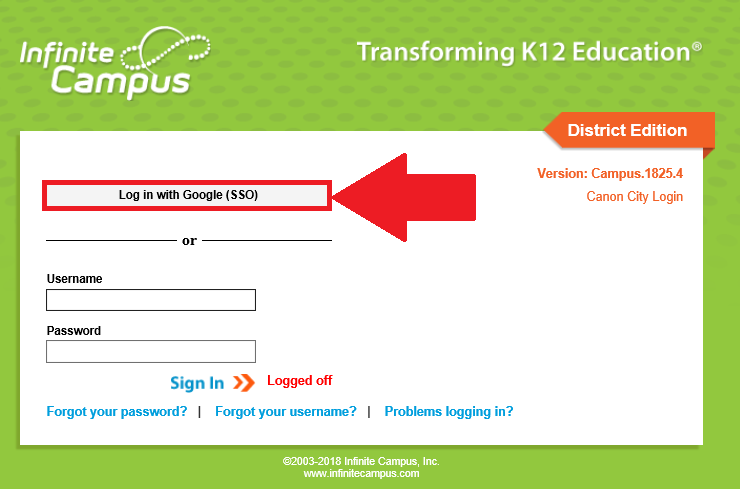 Instead of using the fields to log into Infinite Campus, you can select the "Log in with Google (SSO)" button. All staff accounts have been converted to sign on this way. Our district switched to Cloud Hosting in July 2018. What does this mean? We no longer host the server with Infinite Campus at our District Administration office. All our data is living on a server with Infinite Campus Headquarters. Why should you get a Campus Community Account for Infinite Campus?